The Lake Ainsworth Blue Green Algae Status was raised to GREEN on February 25, so the Tuesday/Thursday Swim/Run: Group Training events return to Lake Ainsworth from March 1. Note: In consideration of members health, the Tuesday/Thursday Swim/Run: Group Training events have been temporarily relocated to Pop Denison Park, Shaw’s Bay due to council warnings relating to current water quality at Lake Ainsworth. Ballina Triathlon Club Annual General Meeting will be held on Wednesday 29th August 2018 at Cherry Street Bowls and Rec club starting at 6pm. All members are invited to attend. Hope to see you there. Good Luck to all our club members participating in Ironman Australia and Ironman Port Macquarie 70.3 on Sunday the 6th May. We hope you all have a great race. Stay safe and go hard!!! 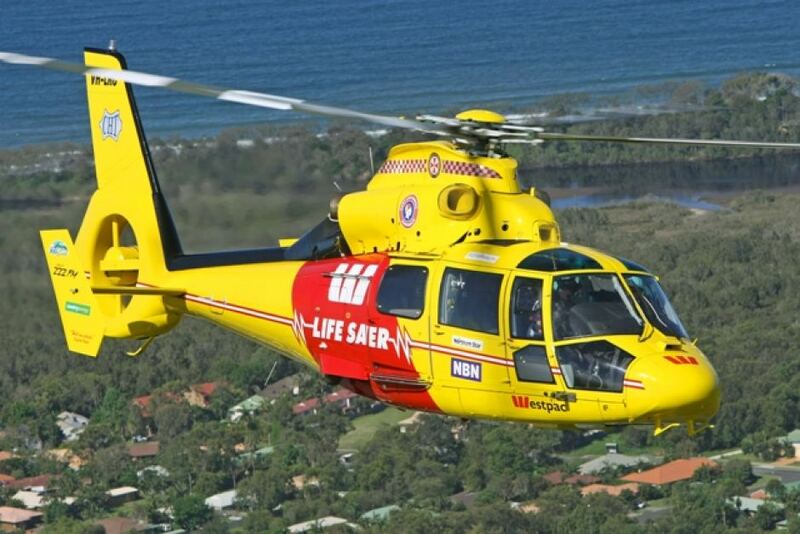 Congratulations and well done to everyone for taking part in the Westpac Rescue Lifesaver Helicopter fundraiser today. It was a beautiful morning for us and we all made the most of it with a great turnout. The field comprised some 24 Teams with probably about 100 people including Competitors and Spectators. There was prizes galore with some extra special prizes from Sunrise Cycles. We managed to raise a whopping $1190 for the helicopter so I think we can all be happy with that as this money will help save lives!!. I’m sure the Helicopter guys will be! Thanks once again for your continued support, to Sunrise Cycles and to all who took part as competitors, Volunteers and Spectators. I will be meeting with the rescue Helicopter Team to present the cheque soon so keep an eye out here for the photos. Results are now up through the Racing Tab above. Our last Triathlon race of the season is a Team Sprint which is being held on the 15th April. You need a team of either 2 or 3. One member needs to be a Triathlon Australia member. (If you are a non-member of Triathlon Australia and turn up on the morning of the race you may still be able to enter a team and race but this will depend on the number of on-line entries we have received (who will be given priority) and this will cost an additional $5.00 for your one day licence). Please, for this one race it saves us a lot of work if you can enter online, as it assists the committee in planning and organising future events for club members and new participants. (We thank you in advance for your co-operation BTC!, and hopefully your on-line entry process is smooth. If its not then tell us!!!). The idea behind the Team Triathlon is to provide an accessible inclusive community event for all. And so its a chance to drag some newbies along to give ’em a taste of Triathlon !!! Effectively you get to share the load on this one and only occasion so don’t miss out. It can be family members, work colleagues, Sports Clubs, Or Whatever! Just form a team and have a go ! The event is online entry only so please enter through this link. Great job everyone for turning up and having a go at todays Duathlon. I have now posted the results, accessible through the Racing tab above. The race was designed in the system as a Triathlon and so your ‘Swim time’ is your 5 Km run time followed by 20 km bike time and 2.5 km run time. We have our second last Swim-Run on Friday so only 2 more left this season and our next race is our last Triathlon race of the season and will be a TEAMS ONLY SPRINT. See attached flyer. Online entries are NOT open yet but should be by next weekend. As you can see its a fundraiser for the Westpac Life Saver Helicopter. Congratulations and well done to all club members who raced last weekend. Some members raced the Ironman 70.3 in Geelong, others took on the Huskisson Tri yet some others had a crack in our local Club, Sprint and Enticer races at Prospect Lake. Conditions where near perfect for Sundays club race with good water temperature, mild winds and not too hot on the run. Thanks to all who turned up volunteered and raced!